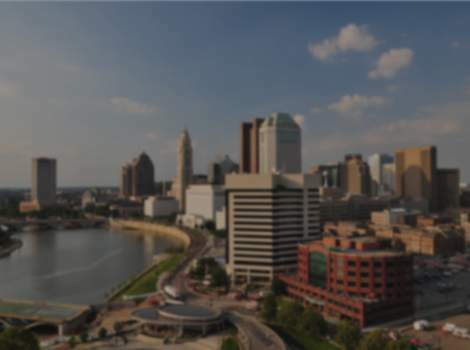 Hyatt Place Columbus/OSU is ideally situated just minutes from The Ohio State University, Arena District, Nationwide Arena, Huntington Park, The Schottenstein Center and all of the wonderful cultural neighborhoods of downtown Columbus. Hyatt Place creates a completely new hotel experience featuring oversized guest rooms (suites) with a cozy corner sectional sofa-sleeper, 42" HDTV; Flat Panel HDTV along with our Plug-and-Play Media Panel. A few additional services to highlight: complimentary Hot Guest Kitchen Breakfast for World of Hyatt Members, complimentary Wi-Fi, complimentary parking, indoor pool, full service bar, on-site Starbucks Station, access to 24-hour food service, on-site fitness center and so much more. We accommodate dogs 100 pounds or less. Please, only one dog per room. There is a $75 one time fee. Guests will receive a doggy bag filled with a dog treat, waste bags, and an information card to fill out for housekeeping. Also it includes a list of pet stores and veterinary information. There are grassy areas around the hotel, but please keep dogs on a leash when outside of the room. Hyatt Place Columbus/OSU, your home away from home! Dog Friendly Comments: We can assist in accommodating dogs 50 pounds or less, one dog per room. There is a $75 fee for up to 3 consecutive day stay. Should your stay be longer, there is an additional $100 cleaning fee charge.